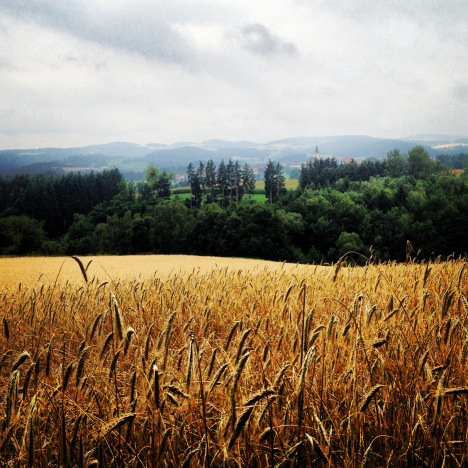 A wheat field in Upper Austria ripens under a summer sun. FRISCO — While some plants will grow better with more carbon dioxide in the atmosphere, the overall warming caused by greenhouse gases poses a serious threat to food crops — especially the expected increase in heatwaves. Scientists at the University of East Anglia took a close look at wheat, maize and soybeans to try and estimate impacts to global food production. The findings were published this week in Environmental Research Letters. Previous studies had already shown that climate change will reduce maze yields by mid-century, but the new study added potential heatwaves to the mix, showing that there is significant chance for catastrophic crop failures as heatwaves become more frequent and intense.